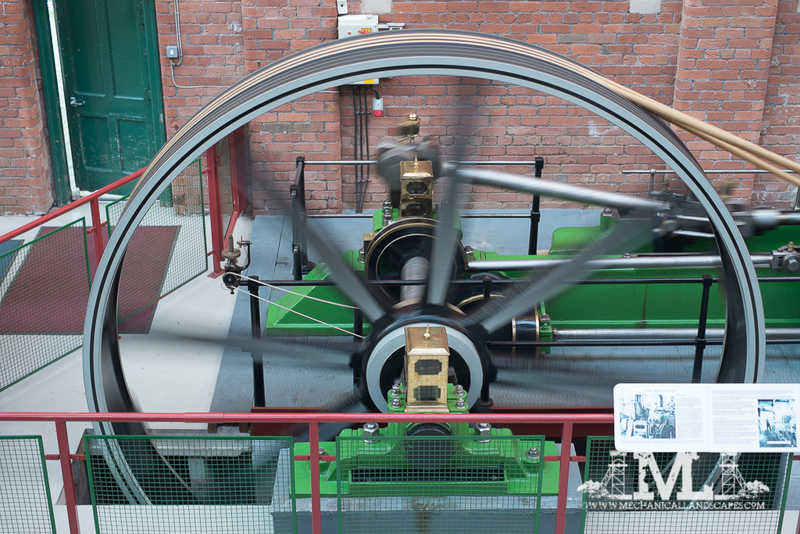 Bolton Steam Museum is the home of the Northern Mill Engine Society, and as I last visited about 5 years ago, I was overdue a re-visit! 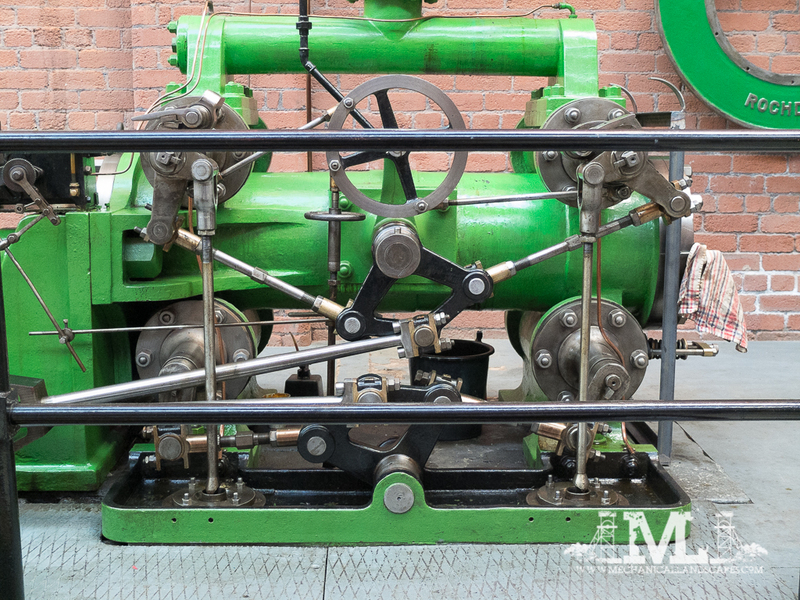 The society was formed in the 1960’s when mill engines were being scrapped at an alarming rate, a combination of the sudden decline of the textile industry and electrification of the remaining mills. Their current premises is a former cotton warehouse on the site of the once vast Atlas Mills complex on Bolton. The society previously occupied an engine house on the site, but when the site was sold to Morrisons supermarkets for redevelopment in the early 90’s, they were given a former cotton warehouse on the edge of the site to relocate to. 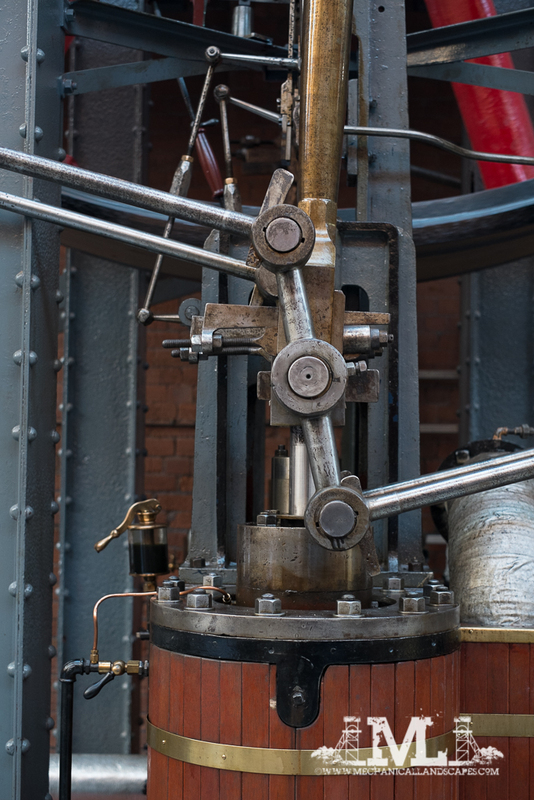 Much work was needed, but the collection of engines was moved and successfully reinstalled in the new building and it is has been open to visitors at weekends for some years now. However, the engines are only in steam on certain days of the year, so it is worth checking the society’s website beforehand. Flywheel in action. This was the motive force behind the mills, with ropes being attached to this wheel that would power line shafting around the mill. All this was done away with when electrification came along, as machinery could be powered locally. Was it cheaper that way? Some say that it wasn’t. 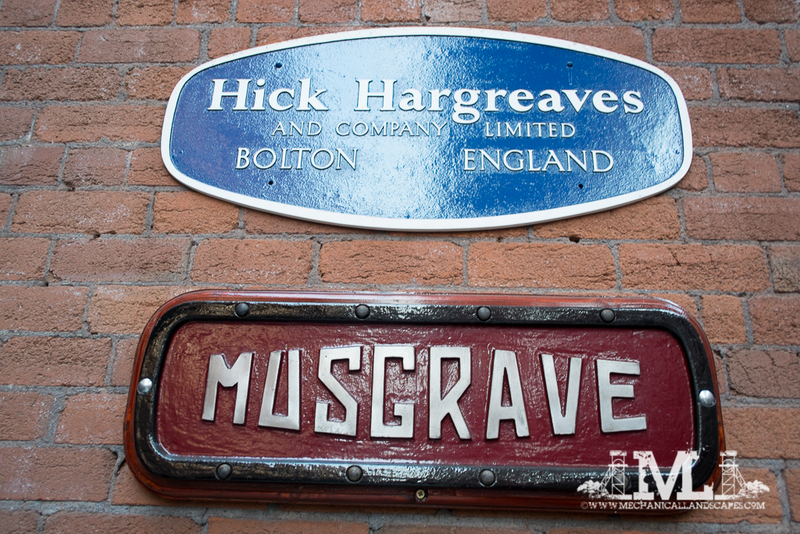 Two great Bolton engineering firms, Musgraves went in the 1920’s, but Hick Hargreaves lasted longer. Technically, they still exist, but in reality, they are now just an office on a business park – their huge works, the Soho Foundry, in Bolton closed about 10 years ago and is now, inevitably, a retail park. 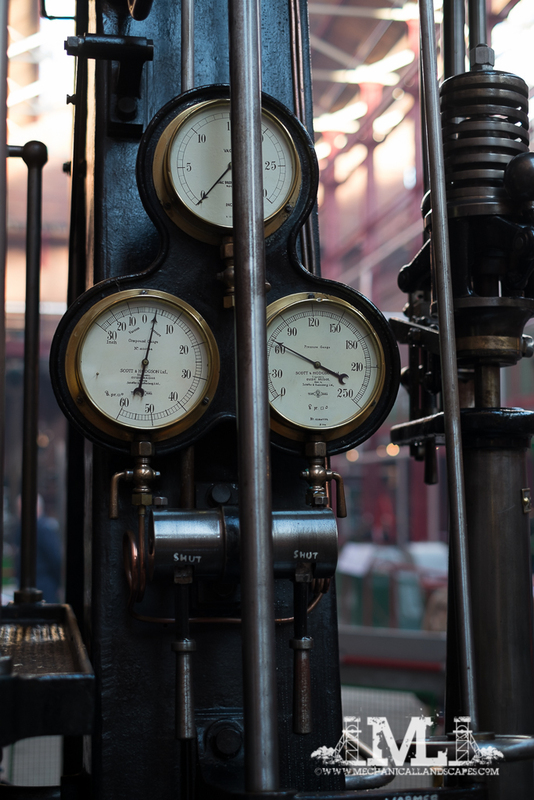 Valve gear – impressively complex, and fascinating to watch. 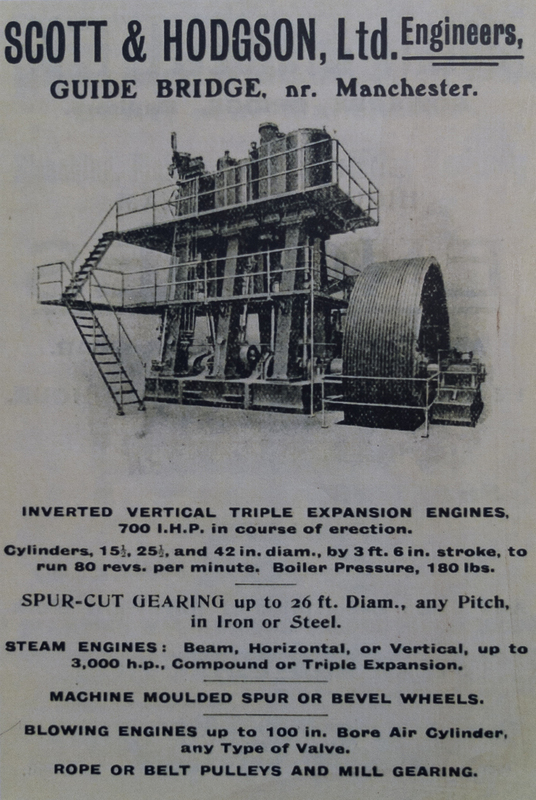 Triple expansion vertical engines are more normally associated with martime applications, but were also used in some later mills. Previous Post Follow me on Facebook!